We just finished the press conference. This guy is one of the reporters. 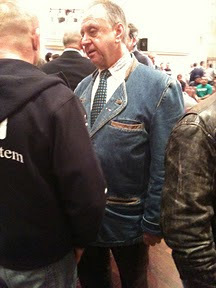 Do you like his denim jean suit jacket?